I get a bit of a shock at seeing Caulker’s name on the team sheet, though I am pleased to see Juanmi, as Koeman makes a lot of changes. I want him to take cups seriously (particularly after the previous night’s results) and this is stretching it, although it’s not quite Pochettino picking Guly and dropping Schneiderlin. When the game gets underway Targett makes heavy work of clearances and puts us under needless pressure early on. Saints weather this fairly easily and soon get into our passing game. This appears to be another area where VVD is an asset, he is comfortable on the ball and shows his capability to ping passes over long distances as Villa retreat into their own half and set Saints the challenge of working through them. Bring it on - there seems to be a misconception that Saints don’t like it when opponents park the bus, but our home record against bottom half teams last season was near-immaculate, we are pretty good at breaking down teams that come to defend. Gestede is the Villa target man - he’s certainly no Benteke, but he gets the better of Caulker in the air early on without threatening Stekelenburg in goal. Romeu has to do a Schneiderlin impression when Amavi gets the better of Ramírez and starts a break for Villa - he can do the ‘breaking up play with a clever foul’ bit of Schneiderlin’s game (and does so here), but I haven’t seen yet why others appear to rate him so highly. He looks a handy squad player mind. Then we get a bit of comedy as Amavi gets into the box and completely loses his footing as he gets in a dangerous position. Saints are quite comfy, but finding it difficult to threaten the Villa goal until Juanmi and Pellè get a chance to get in behind but run into traffic, then Pellè nearly finds Ramírez with a clever pass. Meanwhile for Villa, Westwood has a couple of corners that are dealt with by Saints, but the fact that I bothered to write that down is an indication of the lack of excitement in the first half hour. Pellè is flagged offside from Yoshida’s cross and the ball then falls to Juanmi - I’ll give him the benefit of the doubt and say that his wild finish was because he’d heard the whistle already. It takes 35 minutes for the first real action, Targett is caught upfield by Bacuna on the Villa right, Bacuna cuts in and gets the ball back, evading Targett twice in the process and hits a powerful shot that Stekelenburg parries behind, although you’d ask questions of a keeper that didn’t keep it out. A Ramírez free kick flies nowhere near the goal and Pellè is prevented a clear run on goal by a tight offside flag, before Stekelenburg blocks a close range Gestede header right on half time. It’s 0-0, in fact it’s very 0-0, Villa if anything having had the better chances. Saints try to step up the pace as the second half begins, Pellè links with JWP to bring our first sight of goal but he can’t get a clean shot away and it goes behind for a corner which comes to nothing. Then we see one of the most bizarre things ever witnessed at St Mary’s - Yoshida makes a bursting run from full back, links with Ramírez, and blasts a low left footed shot from 25 yards right into the bottom corner of the net. Maya Yoshida. That Maya Yoshida. I suddenly get a flashback to another unlikely scorer (at least of that quality of goal) Wayne Thomas smashing one in from right back in the FA Cup against Ipswich, what a cracker! The goal gives Saints a massive lift and they start to really pin Villa back, Yoshida continuing to get involved in attack. 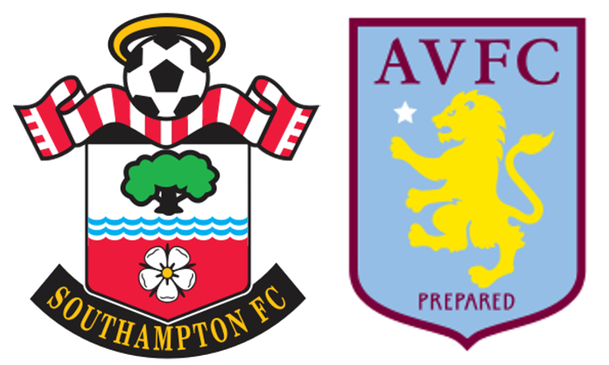 But Villa do respond, Juanmi gets a big cheer for an excellent tackle as Hutton threatens down the Villa right and Wanyama has to make a timely interception on the edge of the box. Then Westwood scuffs a shot at Stekelenburg after being set up by Gestede, when Saints lose the ball cheaply in midfield. Then Saints allow the ball to run across the face of the penalty area where Agbonlahor curls a shot that Stekelenburg does well to tip round the post and a couple of corners make life uncomfortable at the back. Saints need to alter the pattern of Villa pressure and Ron’s subs give the lineup more of a first choice feel, with Davis and Tadić replacing Ramírez and Juanmi. Juanmi obviously needs a bit more time to settle. Ramírez? Well, I’m going to damn him with faint praise and describe him, much like Romeu, as a handy squad player. Maybe he should be more than that with his talent, but if we are to progress then I’m actually quite happy for him to continue this role. He does create an impact when he makes these cameos, it’s not like he wanders round disinterested. Perhaps we should modify our expectations - if he sets up the odd goal from the bench like he did on Sunday, and gets involved positively in the odd cup game, then it’s a contribution. Old rubbish Saints would demand more from such a big financial investment, but in the modern game do we need to re-evaluate what constitutes value for money? Just a thought. The changes bring a spell of Saints possession that ends with a good cross from the left being headed wide by Pellè, who has continued his hard working role as leader of the line in excellent fashion this evening. Always looking to link with others, as well as getting on the end of moves. He’s ideal for this Saints team and gets his reward when Tadić taunts Crespo on the left edge of the box and dinks in a delightful cross to Pellè, who smashes it on the full volley from around the penalty spot into the other corner from where Yoshida found the net. With the clock against them Villa look beaten the moment the ball hits the net to make it 2-0 and Saints look like they will easily play out the closing stages. Then in stoppage time Ayew makes a surge into the box and is brought down by Van Dijk. Sinclair blasts the penalty, sending Stekelenburg the wrong way to make it 2-1. But it’s too late to stage a proper comeback and Saints reach the quarter finals.